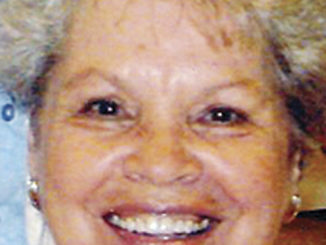 Claire R. Burke, 88, died Feb. 19, 2009, at Pioneers Hospital in Meeker. Claire was born to Fred B. Burke and Annie Z. (Jones) Burke on Feb. 14, 1921, at the family homestead on Piceance Creek, and was one of 15 Burke children. She attended the one room “Burke Schoolhouse” along with her brothers and sisters until her sophomore year. Claire moved to Meeker and attended three years of high school in the building now known as the administration building where she was graduated in 1939. She received two scholarships, the Lions Club and the Women Club, which allowed her to continue her education. She attended Mesa State College for one year and then transferred to Western State College in Gunnison where she received a lifetime teaching certificate. Claire taught school in and around Florence, Colo., from 1941 to 1981, touching the lives of so many first- and second-grade children. Claire was a devoted Christian and an active member of the United Methodist Church in Florence where she received her 50-year pin, later transferring her membership to the Meeker United Methodist Church. She was also a member of ADK sorority in Florence. Claire loved children, family, friends and travel. Her dear friends in Florence were the Lemerer family and the Wagner family of California. Claire moved to Meeker in 1997 to be near her family. During her time in Meeker she volunteered at Meeker Elementary School and the “Support Our Stu-dents” program. Claire will be greatly missed along with the many birthday cards, jars of apple butter and wonderful sugar cookies by all who had the privilege of knowing her. Survivors include her sister, Nettie Faye Modlin of Meeker, brothers Dean and Dale Burke of Piceance Creek, Lex Burke of Rifle and Pat Burke of Montrose as well as many nieces and nephews, great-nieces and nephews and great-great-nieces and nephews and a host of friends. Her parents, four sisters, Winnie Shultz, Anna Collins, Mary Berry and Nancy Burke as well as five brothers, Thomas Burke, Richard Burke, James Burke, Casey Burke and Fred Burke, Jr. have preceded her in death. A celebration of her life will be held at 11 a.m. Friday, Feb. 27 at the Meeker United Methodist Church. Interment will take place Sunday, May 24 at the Miller Hill Cemetery on the Piceance Creek Basin. Friends may make memorial contributions to the Pioneers Hospital Home Health Program at First National Bank of the Rockies. Cochran Memorial Chapel has been entrusted with the arrangements. Jimmy D. McFarland was born on Nov. 23, 1938, at Breckenridge Hospital in Austin, Texas, to Hubert V. McFarland and Leona Pearl Simpson McFarland. He died on Saturday, Dec. 5, 2015. 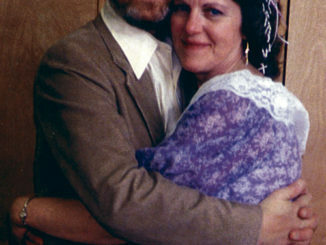 Lee Carol Melton Leavitt, 70, mother and grandmother, passed away of natural causes on Wednesday, Dec. 14, 2011, at Lakeview Hospital in Bountiful, Utah. 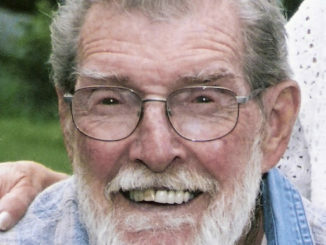 Elmer Raymond (Ray) Gohl died June 20, 2011, at his home in Meeker, Colo.